Some rifles just look better with a compact scope. From carbine to mountain rifle, this is a sweet little scope for your favorite rifle—with its wide power range, generous field of view, and compact, lightweight size. This will surely prove to be one of the most versatile scopes in your collection. 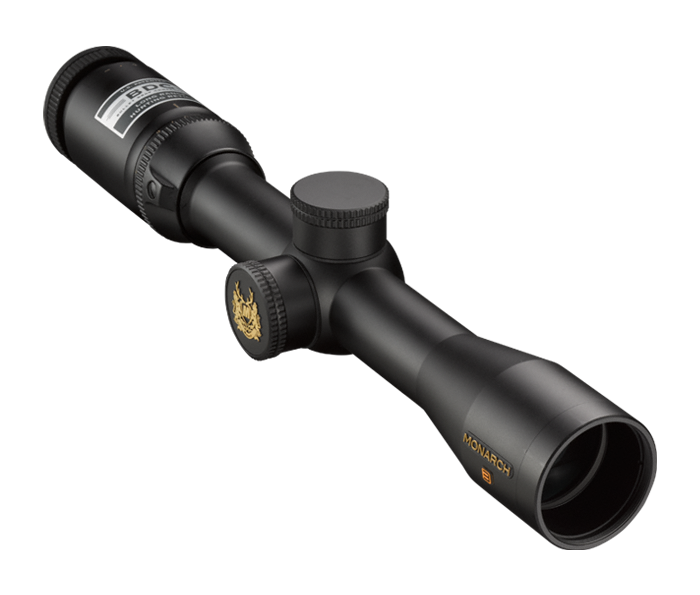 Every new MONARCH 3 riflescope model is available with a BDC reticle to allow shooters to hold “dead-on” at ranges exceeding those previously thought possible. The BDC’s unique see-through ballistic circles offer an incredible advantage for long range shooting—yet allow a normal sight picture for shorter-range shots where the crosshair itself is the aiming point.